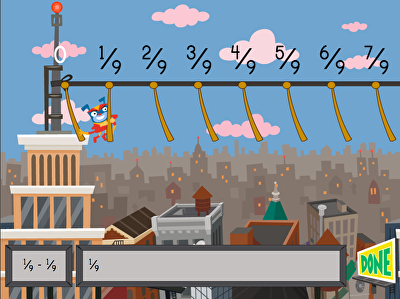 Number lines are an excellent tool to help your students visualize fractions. 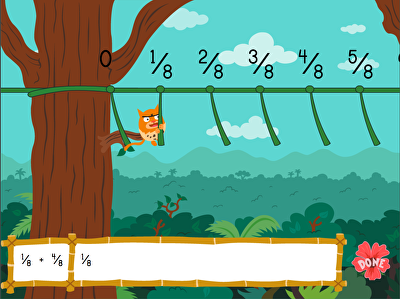 By using number lines, these games make it easy and enjoyable to add and subtract fractions to solve equations. 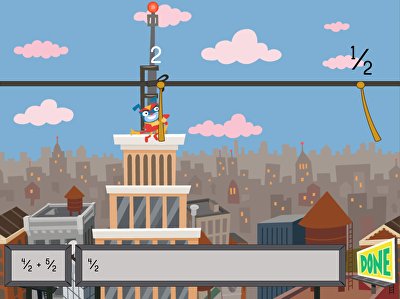 Your students will put their fractions knowledge to the test as they help animated animals swing through a jungle and jump from rooftop to rooftop across a city skyline. 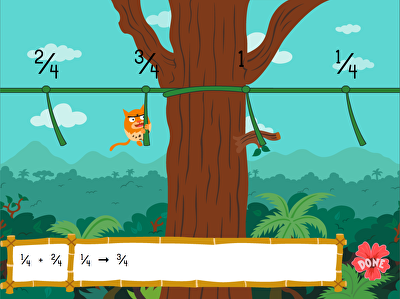 Kids see how fractions get added by swinging across a jungle-themed number line.